Something for you, something for me! When white chocolate and milk chocolate get together they create a unique, cream-coloured temptation. The chocolate is then sweetened with unrefined muscovado sugar which has a slight caramel touch. 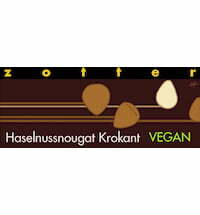 In this chocolate homemade hazelnut nougat meets 50% milk chocolate and in the end pieces of roasted hazelnuts are added. 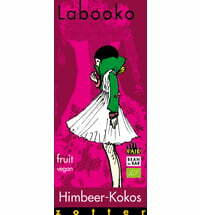 Questions & Answers about Zotter Schokoladen Labooko "For You and Me"